The State Senate is set to vote on the ban no later than mid-July, after it is reviewed by the Environmental Quality Committee and the Appropriations Committee for Budget. A minimum of 21 votes is required for it to pass. The 42-27 State Assembly vote marked an environmental victory that could not have succeeded without the ever-growing support it received from several “green” organizations, politicians, celebrities and everyday advocates alike. 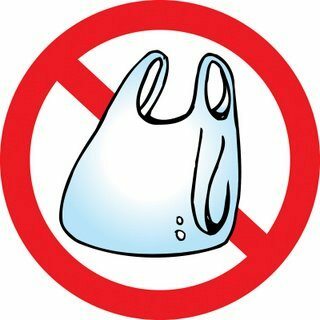 While the ban is not a novel idea to many Californians – San Francisco was the first US city to prohibit the use of plastic bags, and was quickly followed by Palo Alto, Manhattan Beach, Malibu, Oakland and Fairfax – it would provide a uniform set of statewide regulations. 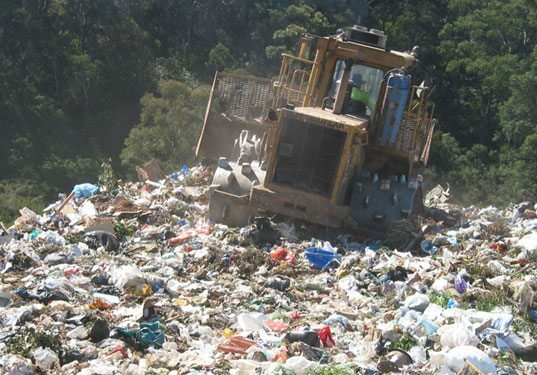 And according to Californians Against Waste, it would also save $25 million a year that is spent to landfill discarded plastic bags. Despite the progress being made, the United States is trailing significantly behind the rest of the world in its efforts to reduce its plastic footprint. In fact, several countries have already made great environmental strides by either banning plastic bags completely or charging people to use them. A few local stores are putting in the extra effort – and sometimes money – to help promote “green” alternatives. Target (3245 Sports Arena Blvd. ), for example, implemented an incentive plan that reduces a shopper’s total bill by 5 cents for each reusable bag they bring and fill in lieu of a plastic one. Similarly, CVS (3950 West Point Loma Blvd.) launched the GreenBagTag incentive program. It requires an initial fee of 99 cents for the Tag, which is swiped every time the shopper declines a plastic bag. After each fourth swipe the shopper earns a $1 coupon that can be applied at the next visit. Stump’s Family Marketplace (3770 Voltaire St.) provides bins for recycling plastic bags, which are picked up weekly by their wholesaler. According to Dirk Stumps, owner and member of the California Grocers Association, they also have quarterly promotions giving away reusable bags to customers who purchase a certain item or spend a certain amount. Though Stumps dislikes the idea of a government-enforced ban, he realizes the plastics bags are a problem. “Something needs to be done,” he said, “but I don’t know who the burden should fall on.” He adds he has concerns about the implementation of the ban at store level. Ocean Beach People’s Organic Foods Market (4765 Voltaire St.) only offers paper bags at check out, at no direct cost to their customers. They also encourage reusable bag use with a biweekly raffle, where the names of shoppers who choose to reuse a bag are collected and submitted to win. The prize is a $30 food credit, which adds up to $3,120 each year. Baron’s Marketplace (4001 West Point Loma Blvd.) currently offers both paper and plastic bags to their customers and the store supervisor says no incentive program to encourage reusable bag use is scheduled to be put in place at this time. Rite Aid on (4840 Niagara Ave.) neglected to comment on their plastic bag policy and their media line did not return calls. But while the US has taken small steps to improve the situation, other countries have made full strides to reduce plastic bag use. According to the Earth Resource Foundation, Ireland has seen a 90 percent reduction since imposing a 15 cent tax on them in 2002. The concept was apparently contagious because Switzerland, Germany, Scotland, the United Kingdom, Israel and Holland soon followed suit. In South America and South Africa, plastic bag restrictions are gaining popularity. Another big change came in 2008, when China surprised the world by banning the free plastic bag. The National Development and Reform Commission estimates the ban has reduced the number of bags used by 66 percent, thereby decreasing the country’s dependency on oil by almost 40 million barrels annually. Whether it comes in the form of a law or just an incentive, the environmental awareness that is growing is undeniable. The passing of the ban in the State Senate would be a monumental triumph for California and a rallying cry for ecological movements across the nation. Annie Lane is a new blogger to this site, having just graduated from SDSU with a journalism degree. This is her first post with us. Welcome, Annie – this is a great start! – ED. Great article Ms. Lane, more people should be aware of this issue and the negative impacts of plastic bags, not just in CA, but for the whole world – it is truly devastating. Look forward to reading Part 2! I really enjoyed the article, by Annie Lane, on plastic bags. It was very insightful and succinct! I hope you have many more reports from this talented reporter. Great information in this article. Good to see how many business’ support the ban and have come up with many ways to reduce their use. Good reporting Ms Lane! Nice work Annie. 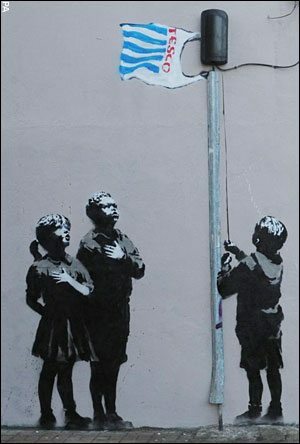 I really like the plastic flag grafic too! Can I get that on a shirt? Personally, I’ve found using cloth bags, or my backpack easier and more convenient than the single use plastic bags. They don’t break, I can fit more stuff in them, some are insulated so that my groceries stay cold on the trip back from the store. So, I’m a huge proponent of reusable bags, but also reusable cups! We waste single use plastic or paper cups at almost the same rate as we do bags. Perhaps you will touch on that in your next segment. People’s co-op also offers a raffle at their deli counter for people using a reusable mug for coffee or juice. I think the prize is a $5 deli gift card and not as many people enter as they do for the bag raffle, so your chances of winning are greater. Thanks for a great story, looking forward to the next part! Thank you, Jon, for your comments on the issue, and also for informing me about the Surfrider organization. I will definitely check the RAP event out and am so happy to hear about these awareness programs. the plastic bag law is another example of a perfectly reasonable idea that’s been delayed and deferred thanks to chemical industry lobbying. they haven’t given up yet, so keep your eyes on this law. i’d almost be willing to be that we’ll see an initiative entitled something like the “Save Jobs and the Environment Act” funded by the plastics industry that will overturn this law if it is passed. The sad part is that San Diego voters will probably support such an initiative, like they did with PG&E’s outrageous attempt to put guarantees for their profits into our State’s Constitution in the last election. Supporters of the plastic bag industry definitely pose a problem to progressive movements like this ban. And what is most scary is the amount of money (and the means) they have to effectively hold back such progress. The American Chemistry Council is one such supporter that has already started to hinder the ban by spreading propaganda and stating the bill is a burden on taxpayers. I guess they don’t view the $25 million cost cleaning up the coastline every year the same type of burden. Thanks for your input, and your passion on the issue. Nicely done, Annie! I’m with Jon – reusable heavy-duty cloth or canvas bags are SO much easier to use! I pretty much walk for every shopping trip, and those plastic ones hurt my hands when I load them up -not so for the reusable ones. Plus if I forget my bags then I have to collect the plastic ones and bring them back to Appletree to recycle – and that’s a big old mess… Thanks for the info – looking forward to part 2!!! Thanks for your thoughts, Kristin. And thank you for the conscientious effort you make to stay plastic bag free! Sam, you have many good points. Keep your fingers cross in July and hopefully California will make the decision it needs to to start fixing this mess. We can’t undo the horrific disaster in the Gulf (or even with the plastic bag pollution, really) \ but, like you say, we can certainly become aware of the destructive behavior and start making changes for the better. Thanks for reading. Welcome to the Rag! and thanks for bringing your voice to our community. This is a topic that many of us relate to and I look forward to more from you! I’m puzzled about the comments about Baron’s since they offer a raffle ticket to anyone who brings their own bags as incentive. Every week on Friday there’s a drawing for a $25 worth of food. When I’ve forgotten to bring my cloth bags in, I get plastic and reuse them. This is very interesting. When I called each store I asked the same very specific questions: Do you offer paper or plastic or both at the point of sale? Do you reward people who bring reusable bags? Does your store have a specific incentive program encouraging people to use a reusable bag? I spoke with store supervisor Oscar Cortes, who stated there was no program in place and that both paper and plastic were offered. I will follow up with them for Part II and see what they say. Thanks for the information. A telephone interview? The key word must be the POS part. You can buy a very colorful shopping bag with Barons’ name on it, so Oscar shoulda said so. I have been collecting cloth bags for years and usually have one in the car. They are a kind of fashion/political statement too. Laurel Birch’s 9-11 patriotic bag is still good and so is my ACLU bag. I use my KLSD am radio bag to organize stuff hanging back of the headrest and a roomy one that reads To A Genealogist, Everyone is Relative. When the sign “In God We Trust” went up in Stumps the day after Bush was reelected I stopped going there. Thanks Annie, for touching on one of the areas of “over packaging” our environment suffers from. We can only hope that “Stumps” is right in their assumption that the ban will pass. I am a huge “Peoples” fan. I love the food, the people, and their philosophy about the products in their store. If you forget your own bag, there is even a recycle box area that can be raided to help you carry your groceries away guiltfree (and you still get the raffle ticket)! I worked in the maritime and oil spill industry for most of my career and have walked beaches from Costa Rico to Kodiak and the one thing that every one of those beaches have in common is they are all littered with plastic shopping bags. That was a great article. Welcome to the Rag. So good to hear your voice rise! Thank you for your committment and keep the articles coming. You are a child of the ocean and it needs you. Your obvious talents will serve it well! You go, girl! can you spell troll, rich? i thought you could. And here I thought ignorance was bliss…. Newer Article: The Bomb Drops on Ocean Beach.